This book presents original results on the leading edge of cancer research. Chapter One explains unanswered questions of contemporary oncology from the standpoint of karyogamic theory of carcinogenesis. Chapter Two focuses on the molecular players of the human papillomaviruses (HPVs) infection leading to chronic inflammation and cancer. Chapter Three describes Multiple Myeloma (MM), and Monoclonal Gammopathy of Undetermined Significance (MGUS). Chapter Four reviews the role of choline metabolites as second messengers in cellular pathways leading to enhanced cell survival, migration, and proliferation to explore the possibility that <i>in-vivo</i> imaging of choline metabolism can be used to obtain readouts of cell signal transduction in cancer. Chapter Five investigates the possible correlation between anatomic melanoma distribution on the specific back area and lack of sunscreen application. Chapter Six describes the known molecular mechanisms of epigallocatechin (EGC) and epigallocatechin-3-gallate (EGCG) in malignant neuroblastoma that can help find new directions for future research. 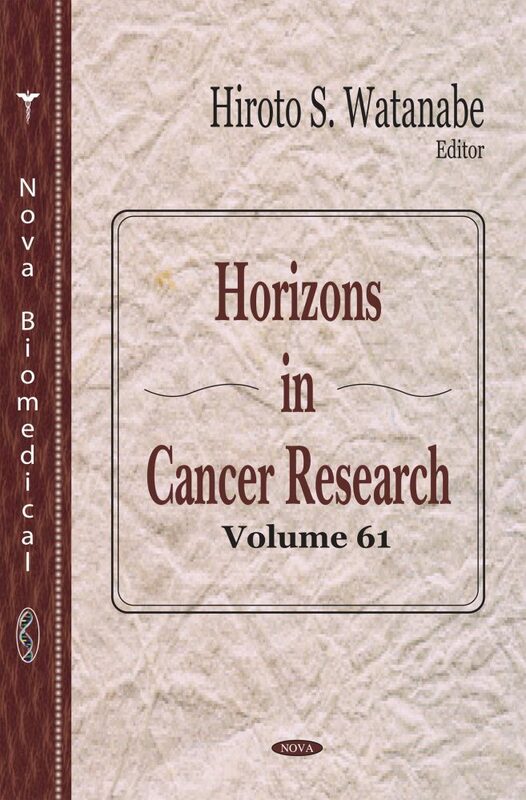 Chapter Seven discusses the burdens of childhood cancer survivorship and the consequences of different treatment therapies on the incidence of CVD and explores potential monitoring methods and the need for consistent cardiovascular monitoring of childhood cancer survivors regarding their cardiovascular health. Finally, Chapter Eight considers a model for implementing recommendations pertaining to Lynch syndrome, and also looks at what is happening in the field now to support Lynch syndrome genetic testing and surveillance, and how a deliberative conference can point the way to changes that need to take place to deliver screening to those at risk.